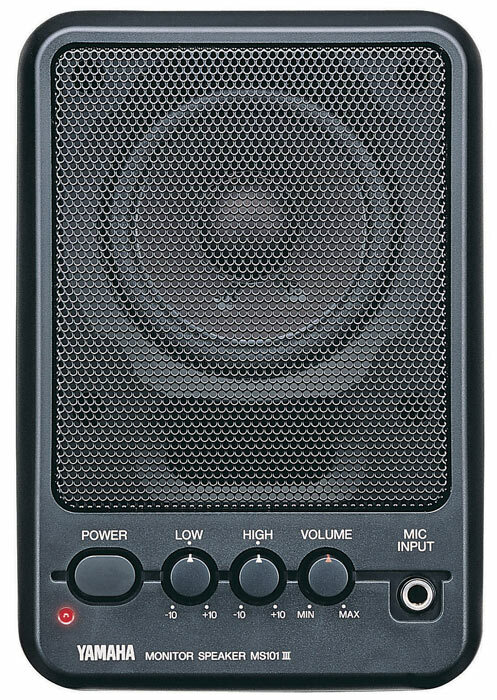 The MS101III is a compact 10 watt powered monitor speaker. Line and Microphone Inputs…Even a Line Output! The new 6010A demonstrates Genelec’s 30 years of experience in designing and manufacturing active loudspeakers. Those gentle enclosure curves are acoustically functional and the integrated amplifiers and active crossover circuits have been matched together with the custom made loudspeaker drivers. The all aluminium Genelec 8000 Series Minimum Diffraction Enclosure™ (MDE™) has rounded edges that curve gently and seamlessly into the shapes of the Advanced Directivity Control Waveguide™ (DCW™) and the large rear-opening of the reflex tube. This long, curved reflex tube is flow optimized to increase the woofer's low frequency extension and SPL capacity. New low distortion drivers combined with carefully designed crossover filters result in improved resolution and less listening fatigue over the entire audio spectrum. The rubber based Iso-Pod™ (Isolation Positioner/Decoupler™) provides adjustable enclosure tilt to point the acoustical axis precisely towards the listener for best sound reproduction. The Iso-Pod™ prevents also coloration caused by conduction of unwanted vibration to the mounting surface. The 8000 Series represents the culmination in 2-way active monitor design. The 8200 DSP monitoring systems are the logical extension of the 8000 series monitors, using the same MDE™ enclosure design, DCW™ advanced waveguide technology and reflex port design. 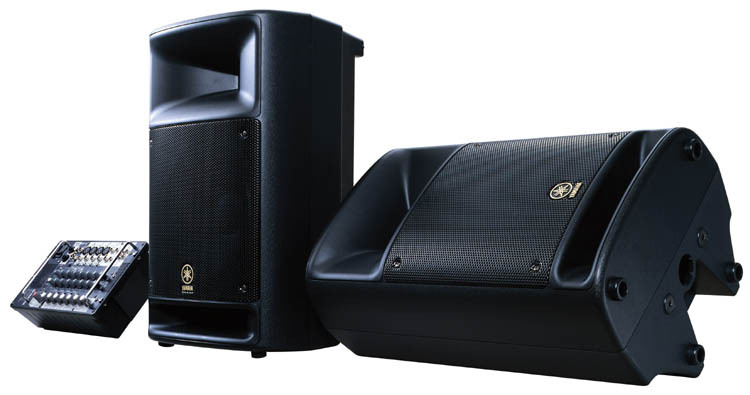 With the addition of new technologies of DSP, GLM™ and AutoCal™ the 8240A and 8250A DSP monitors are powerful and easy to use, with the innate ability to quickly adapt to your acoustic environment with exceptional precision. The SE™ (Small Environments) DSP System brings an outstanding, easy to use and affordable solution combining 8130A's digital input active monitors to the SE7261A DSP subwoofer with the dedicated GLM.SE™ software featuring AutoCal™. 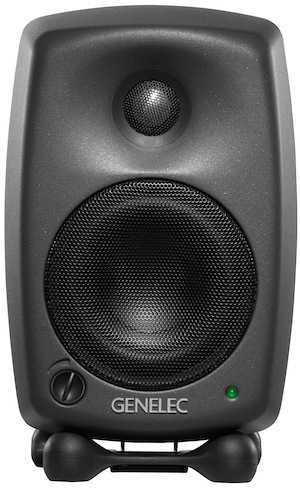 The Genelec SE™DSP System won the TEC Award 2008. This Anchor Audio AN-130 speaker monitor is extremely lightweight and designed for crowds of up to 100 people. (The model shown is platinum beige). The AN-130 is also available in black as the AN-130BK. Upgrade to either the AN-130RC with volume remote control, or the AN-130U1 with built-in wireless receiver. 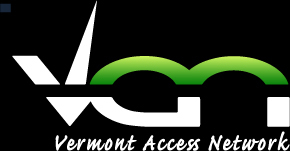 There is a comprehensive package which includes microphones. The AN-130BP Basic Package with built-in wireless receiver, wireless microphone and more. Anchor Audio also offers the stand-alone speaker mounting stand with swivel bracket-black; SB-1, wall-mounting "U" bracket; the SB-3 (for use with the SS-250 speaker stand, in black only), and a wall-mounting bracket with 360 degree range of motion; the SB-360P. See below for all optional accessories. 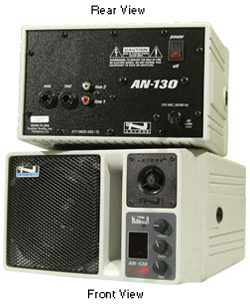 You may also want to consider the AN-1000X speaker system from Anchor which is more versatile but otherwise similar to this AN-130. Stagepas 500 is a 500-watt PA system with two 2-way loudspeakers and a 10-channel 500W powered mixer. It is an incredibly lightweight, portable, easy-to-use PA system consisting of a pair of high-performance speakers with a built-in and detachable powered mixer. You can be set up and playing in a matter of minutes, and then packed away and on the road again with the same ease and speed when you’re done. And all of this is provided with no compromise in sound quality or versatility, plus some advanced features you normally would’t expect to find in systems in this class. Two 250-watt power amplifier can fill surprisingly large clubs or rooms, or project your sound over a considerable distance outdoors. The class-D power amplifier has been painstakingly designed to deliver superior sound quality as well as reliability in a remarkably compact unit. The STAGEPAS 500 gives you 10 input channels in all: four mono microphone/line inputs and three stereo line inputs. The additional stereo channel can used for either a stereo or mono source. In addition to the main speaker outputs the mixer has line outputs that can be used to connect additional powered speakers for monitoring, and to send the mixer's output to a recording device. The STAGEPAS 500 mixer features switchable phantom power for the four mono microphone/line inputs. This lets you use high-performance phantom-powered condenser microphones in situations where you want the extended, natural response they provide. vocals, bass, guitar, and other sources while smoothing out the sound and helping it to “ride” better in the mix. The STAGEPAS 500 mixer has 2-band EQ controls on each channel, as well as REVERB switches on channels 1 through 4. A separate REVERB level control adjusts the reverb mix. XLR and phone-jack inputs on mono channels, andphone-jack and RCA pin- jack inputs on stereo channels allow connection to awide range of sources. MIC/LINE switches select microphone or line levelinput matching for channels 1 through 4. Auto Limiter prevents overload damage to poweramplifier and speakers. Optional BMS-10A Mic Stand Adaptor for the mixerunit. The STAGEPAS 500 speakers can be stand mounted without standard speakerstand adapters.